Ahh, the white blouse. It's an essential. Whether you like the classic style or a tuxedo shirt, it's one piece of clothing that needs to be in your closet. I've been on the hunt for one with a twist and after seeing this Rodin Shirt on Need Supply, I knew it was the one. This blouse has the ultimate menswear feel to it and the back button detailing is my favorite. It's perfectly oversized and super versatile to style a million different ways. There's no doubt that a white button down looks perfect with jeans, but right now I really love the look of an oversized blouse with a skirt. 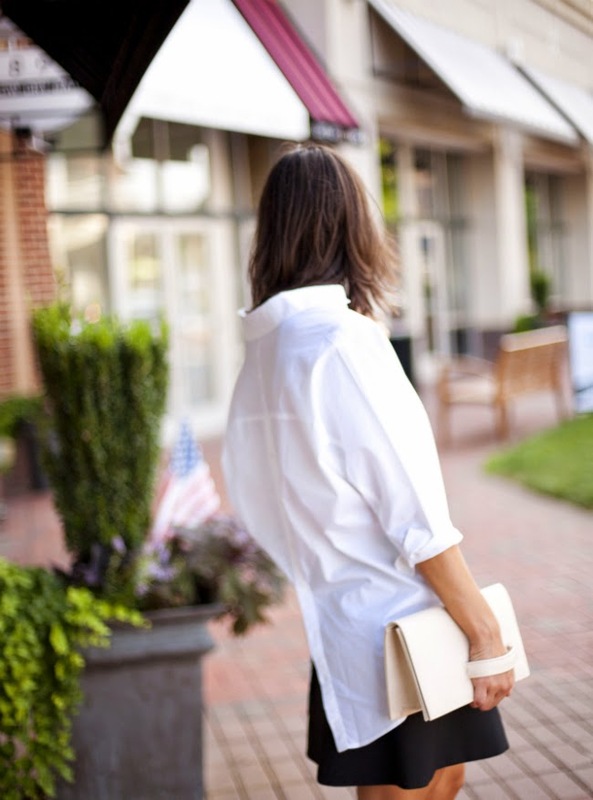 I wore my white blouse over my favorite J.Crew fluted skirt (on major sale). It's an easy look to put together and looks pretty polished. Grab your favorite clutch and you are ready to roll. Mine is the Daphne Bag. Guys, it's currently on sale for $58 and how about that side handle detail? I can't even. 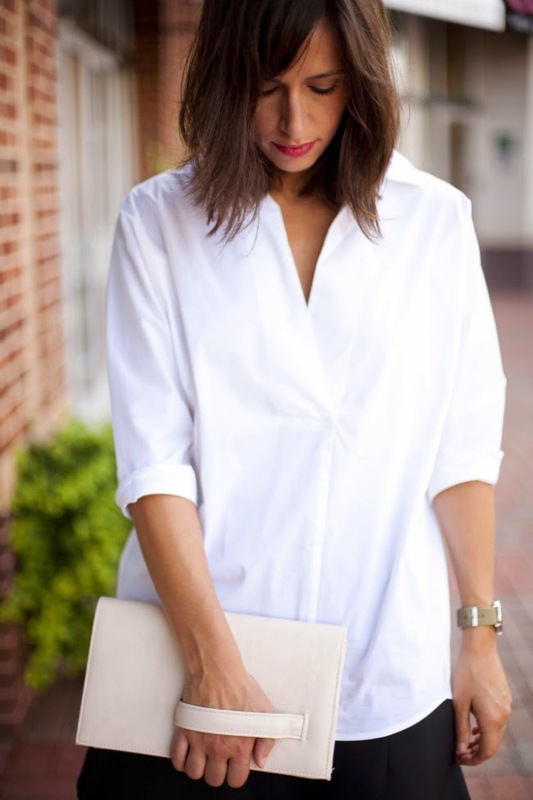 You cannot go wrong having more than a few white button downs in your arsenal. I'm gonna go ahead and say, the more the better.